More purposeful and beautiful scrambler features, with interchangeable pillion seat, aluminium rack and wide aluminium bars. 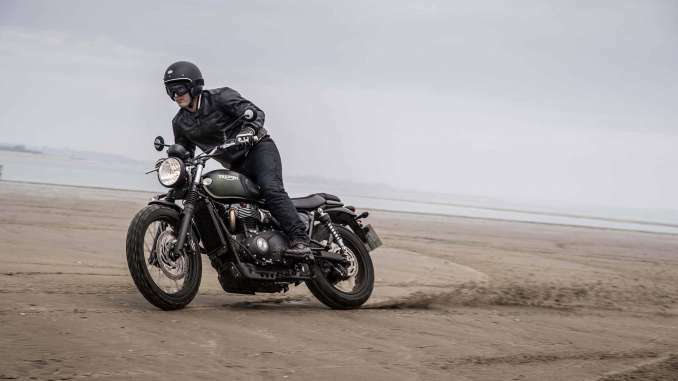 Crafted to the highest of standards with a host of premium finishes, including real brushed aluminium tank decals, gun-metal finish engine badges and dedicated scrambler mirrors for better visibility. There are three exciting paint schemes to choose from, Jet Black, Matt Kaki Green and a twin colour scheme Korosi Red / Frozen Silver finished with jet black hand painted coach lining. 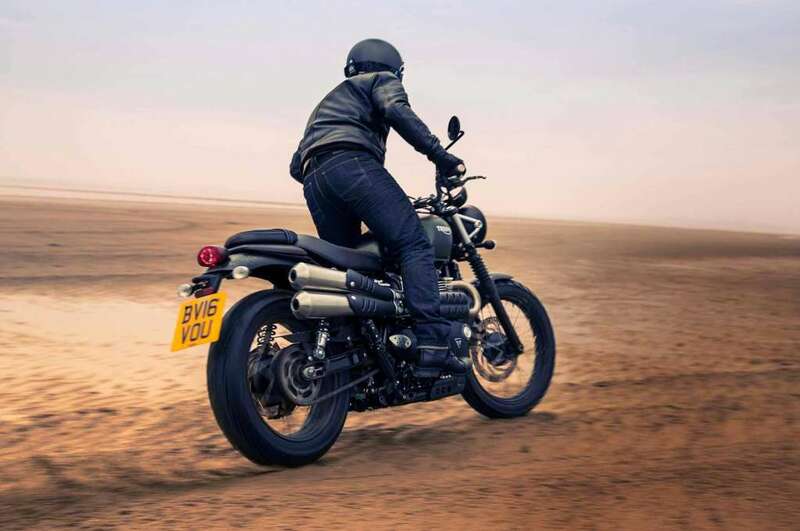 Just like all Bonnevilles, the Street Scrambler’s exhaust is tuned to deliver a rich and full British Twin Scrambler soundtrack. 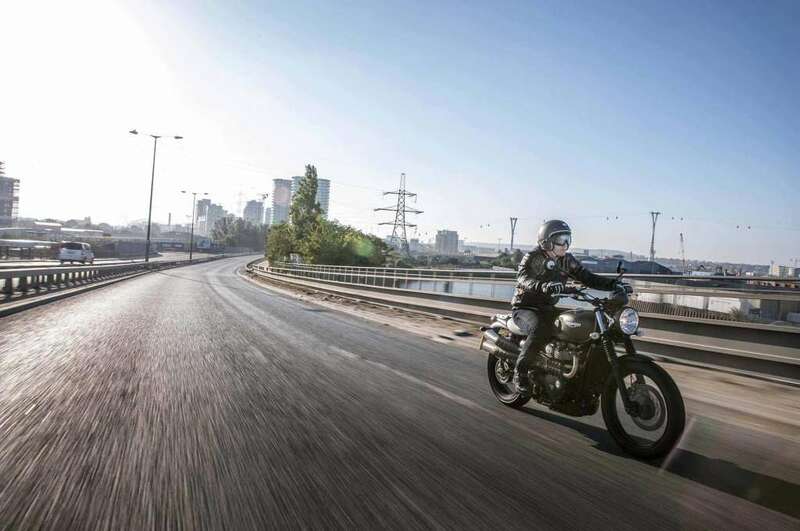 The new Street Scrambler’s engine, exhaust and rider-focused-technology, boasts several major enhancements over previous generations, offering more performance and a better riding experience. 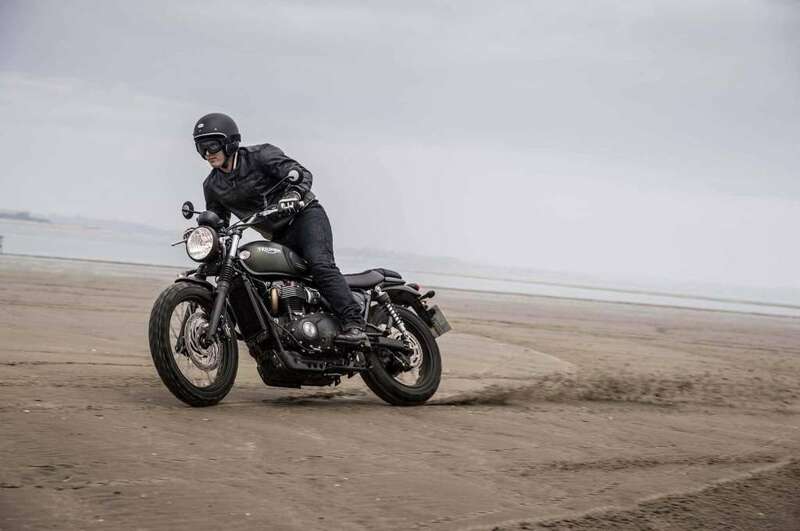 Technology enhancements include switchable ABS – a unique feature for the Street Scrambler. 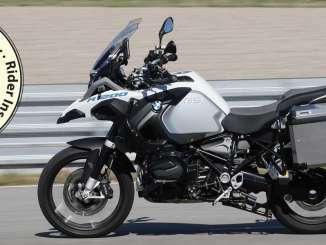 The 900cc engine has an 8 valve single overhead camshaft parallel-twin with 270° firing interval for a smooth, linear power delivery from the slick five-speed gearbox, and has been specifically tuned to deliver much more torque and power low-down and in the mid-range – just where you need it. 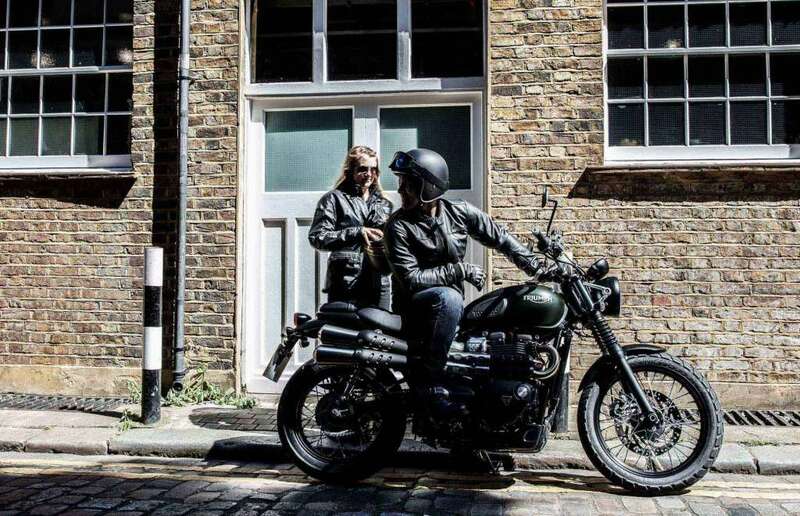 There are plenty of accessories available to add even more style to the Street Scrambler. 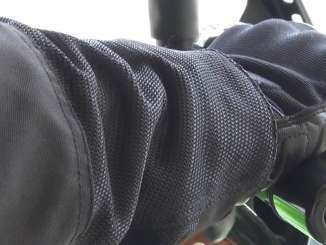 These include slip on Vance & Hines single exit silencers with a carbon fibre reinforced polymer end cap, traditional scrambler twin bench seat and bar end peep mirrors with laser etched Triumph logo – available in anodized black or clear aluminium. Instrument Display and Functions LCD multi-functional instrument pack with analogue speedometer, odometer, gear position indicator, fuel gauge, range to empty indication, service indicator, clock, 2x trip, average & current fuel consumption display, traction control status display, TPMS ready & heated grip ready – controlled by a handlebar mounted scroll button (accessory). CO2 figures ** EURO 4 Standard: 88.0 g/km **CO2 and fuel consumption are measured according to regulation 168/2013/EC. Figures on fuel consumption are derived from specific test conditions and are for comparative purposes only. They may not reflect real driving results. CO2 figures ** Norme EURO 4 : 88 g/km **CO2 and fuel consumption are measured according to regulation 168/2013/EC. Figures on fuel consumption are derived from specific test conditions and are for comparative purposes only. They may not reflect real riding results.